Impose’s Austin Imposition, a free five-day series of shows, will go down March 16-19. Venues and times will only be revealed to those who join the RSVP mailing list. 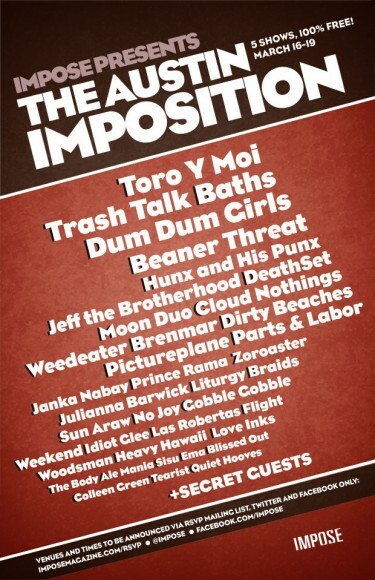 Featured acts include Toro Y Moi, Dum Dum Girls, Trash Talk and Baths.